Lymphatic vessels form a network around the body that carry a fluid called lymph. Lymph is a clear fluid which bathes the tissues in the body and is squeezed out of the bloodstream as blood flows round the body. Once it has washed the cells the lymphatic channels carry the fluid back into the bloodstream. Lymph nodes are bean like structures and are responsible for trapping cancer cells, bacteria and other harmful substances. Surgery on the lymph nodes is an important part of the management of skin cancers which have the ability to spread around the body. 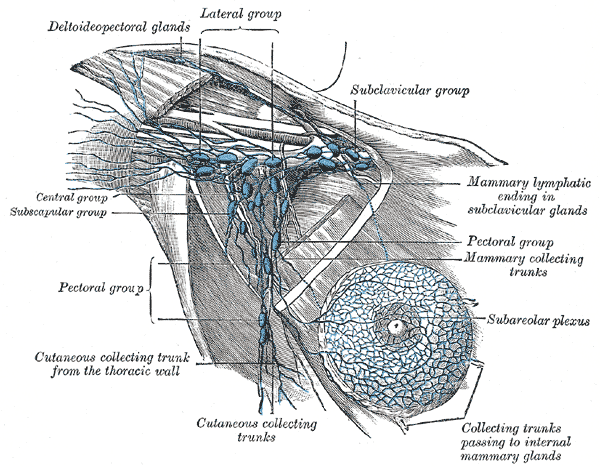 Ewan Wilson offers a full surgical service to assess and treat lymph nodes with the following procedures. To learn more about the procedures please click on them.